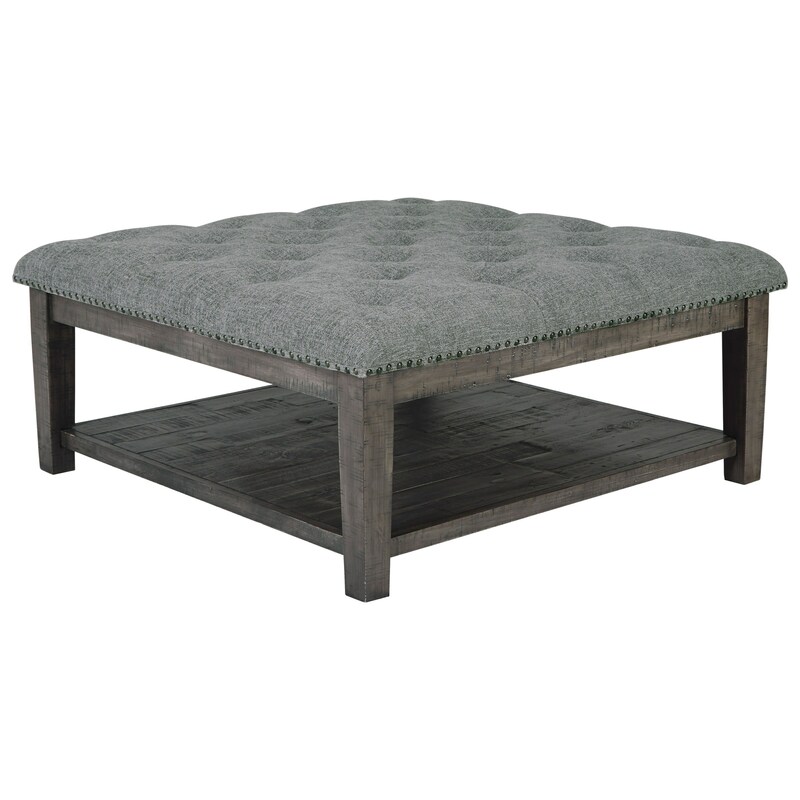 This generously sized cocktail table features a button tufted gray cover, so this piece can serve as a coffee table or an ottoman for you to kick your feet up on. The simple farmhouse design is showcased thanks to the plank effect of the lower shelf, and the weathered gray finish. The Borlofield Contemporary Ottoman Cocktail Table with Nailhead Trim by Signature Design by Ashley at Sam Levitz Furniture in the Tucson, Oro Valley, Marana, Vail, and Green Valley, AZ area. Product availability may vary. Contact us for the most current availability on this product. Welcome warmth and functionality into your living room space with this occasional table collection, which features an ottoman cocktail table and an end table with handy storage options. The Borlofield collection is a great option if you are looking for Contemporary furniture in the Tucson, Oro Valley, Marana, Vail, and Green Valley, AZ area. Browse other items in the Borlofield collection from Sam Levitz Furniture in the Tucson, Oro Valley, Marana, Vail, and Green Valley, AZ area.